← #30DayHomies Day 19 ~ we have winners! It’s Sunday, my post is late, but I have good reasons. Ally is sick, so went to the doctor and she has viral bronchitis. Good thing we are already off tomorrow ~ no work, no school! 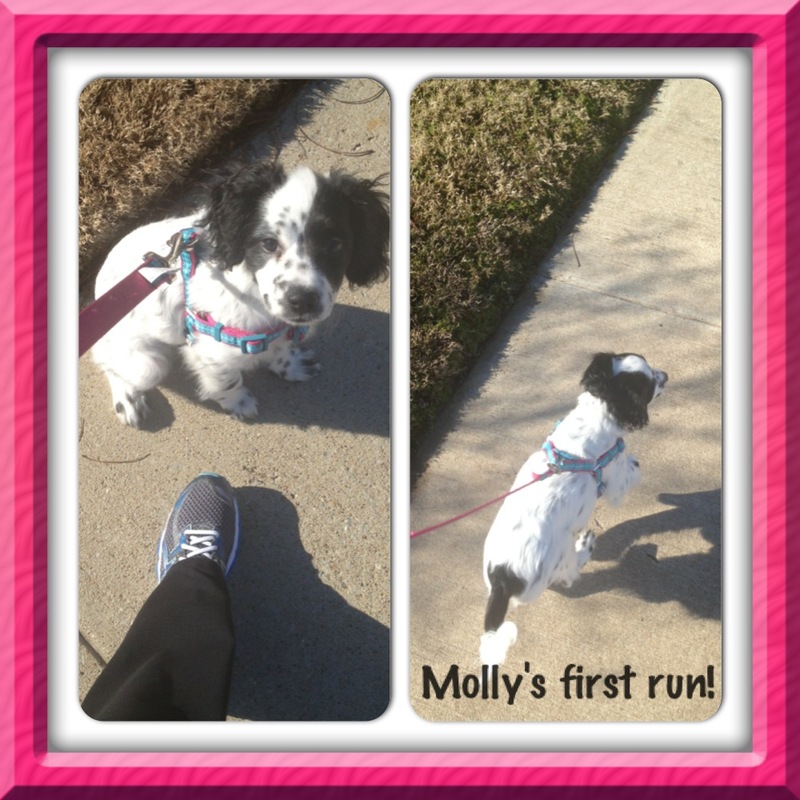 I took Molly for her first walk/run this morning. Ally walks her, but I wanted to see how she does running. And she loves it! 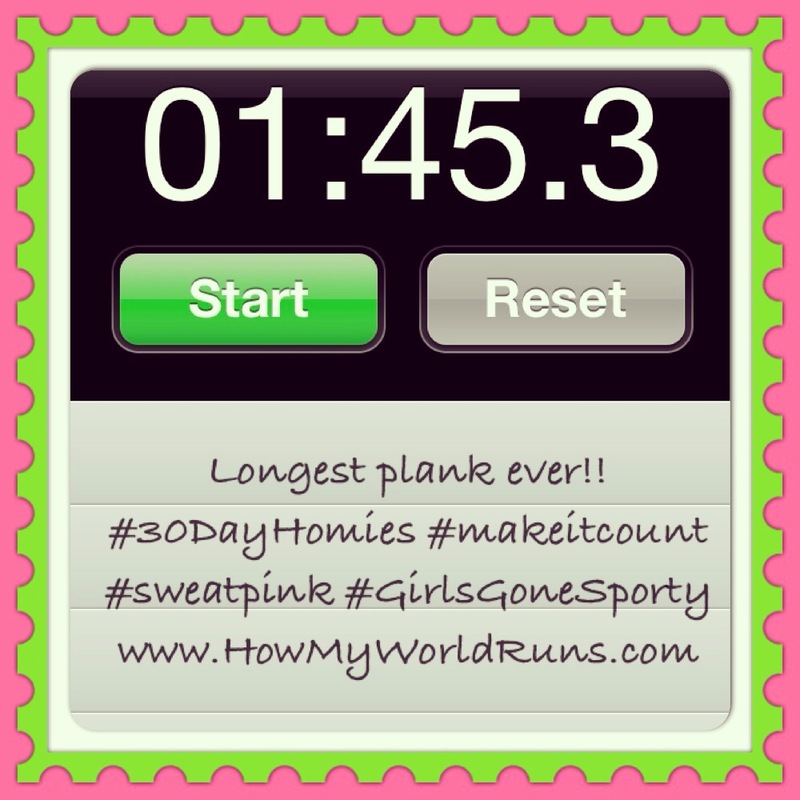 Last night I got my longest plank time in so far ~ 1:45, I was so excited! Hope you are having a great Sunday! What was your workout today? This entry was posted in Uncategorized and tagged #30dayhomies, how my world runs, running. Bookmark the permalink. You’ll have to show me the chin up machine!